Taking place at a top-secret venue in Central London, this is an immersive experience that will place you in the world of HTTYD. Further details are classified for now, but expect a variety of activities and lots to see as you journey through a meticulously recreated Berk. 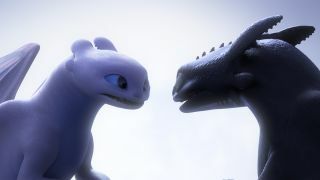 And of course, you’ll also be treated to a full screening of How to Train Your Dragon: The Hidden World, before it hits UK cinemas. Plus, there will also be a special introduction from writer/director Dean DeBlois and producer Brad Lewis.